I’m amazed at how many people who write into your mailbags have enormous student loan debts and mortgages. I know that prices have increased, but whatever happened to just working at your job and using that money to pay for school and for your down payment? I know how much you like to “run the number,” so I’d like to see the real financial situation of someone my age compared to someone today. Unfortunately, the vision of someone working at a minimum wage job part time to pay for college or someone having a full down payment in their early twenties is simply not realistic today. The numbers simply don’t bear it out. Let’s start digging through the data. I tried to provide sources for as much of the information below as I could. In 1970, minimum wage was $1.60 an hour. Today, it’s $7.25 an hour. That’s a 353% increase over that period of time, which seems like a fair amount… until you actually start looking at how prices have increased. What about average wages? I couldn’t find a document that laid out full details on average wages per year, but this document from the Census Bureau, laying out some average wage information, shows that average household income has roughly kept pace with consumer prices. In January 1970, the Consumer Price Index was 37.8. In January 2011, it was 220.223. That’s a 482% increase over the period we’re looking at. In other words, for every dollar increase in the minimum wage since 1970, the price of an average item has gone up $1.36. Even adjusting for inflation, a dollar today buys less than it once did for low income earners. So, for a person freshly out of school, the initial income outlook is worse than a fresh graduate in 1970, but after some career advancement, their salaries end up being comparable given inflation. In 1970, a year of tuition at a public university cost $1,207. In the most recent year of data available, 2007, a year of tuition at a public university cost $11,034. That represents an annual average increase of 6.2%, which, if you applied it to the 2007 price, gives you an estimated 2010 cost of a year of education as being $13,216. That’s a 994% increase in the cost of a four year degree. So, let’s say you’re earning minimum wage and trying to make it through college. In 1970, you could work 755 hours at a minimum wage job over the course of a year to earn enough to pay for a year of schooling at a public institution – about 14 hours per week. In 2010, you would have to work 1,823 hours at a minimum wage job over the course of a year to earn enough money to pay for a year of schooling at a public institution – about 35 hours per week. In other words, in 1970, you could work a part time job as a cashier or something to that effect and easily pay for college, enabling you to work and attend college without going into debt. In 2010, you have to work a full time job to pay for college, meaning you essentially have to choose between debt and an education or some other difficult plan. Not only that, a college education is becoming much more of a requirement than it was in 1970. In 1973, the earlierst year that I could find firm data, 72% of jobs available for workers in the United States had only a high school diploma or had dropped out of school. In 2007, that number had dropped to 41%, and future projections show it only going lower. The jobs remaining that do not require a college education are primarily service jobs that do not pay a high wage. In other words, in 1970, the choice to enter the workforce immediately after high school or work a minimum wage job while going to college was a real choice. Today, it’s not a real choice unless you want to agree to low income for life. You have to enter the costly bargain of secondary education. The median price of a home sold in the United States in January 1970 was $23,600. The median price of a home sold in the United States in January 2011 was $240,100. That’s an increase of 917%, one on par with the jump in education prices. In other words, even after the housing collapse, a home today costs approximately three times as much as a home in 1970 compared to the average wage that a person earns. The minimum wage in the United States has gone up 353% since 1970, and average incomes have gone up approximately 500%. In that same span, however, the cost of basic household goods has gone up 482%, the cost of a four year education has gone up 994%, and the cost of an average home has gone up 917%. 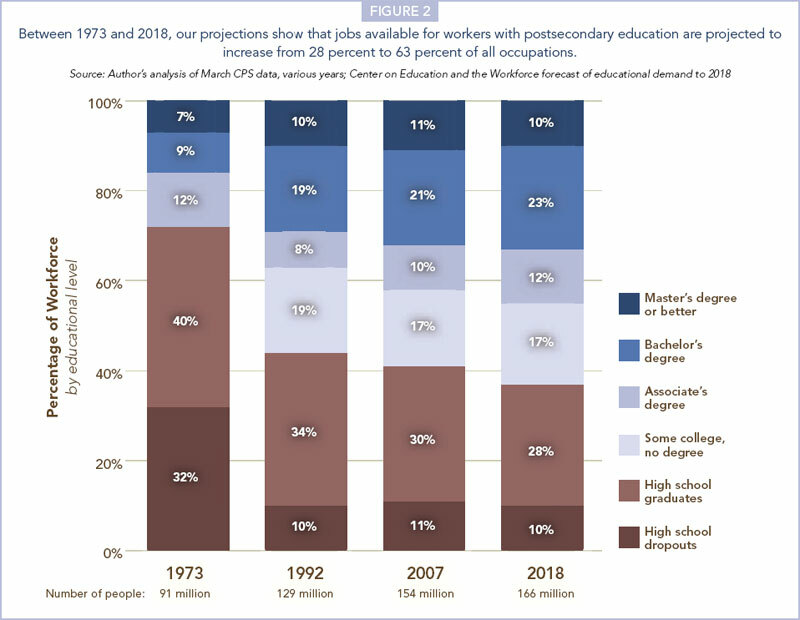 In other words, in the eyes of an average worker from 1970 compered to today, the prices at the grocery store have remained largely unchanged, but the cost of an education has roughly doubled (and it’s now required if you want to earn significant money, where it wasn’t in 1970) and the cost of a home has roughly doubled as well. If you look at it through the eyes of a minimum wage earner from 1970 compared to today, the prices at the grocery store have gone up about 30%, the cost of education has roughly tripled, and the cost of a home has roughly tripled. Like it or not, students of today, you’re likely not going to be able to follow the path of your parents – and especially not the path of your grandparents. If you want to have a financially healthy life, you’re going to need to keep an eye on every dollar much more than they had to. The ability to sensibly manage your money and make smart buying choices is much more of a requirement than ever before. Parents and grandparents of today, give those kids a break. They’ve got a much worse financial reality than you did when you walked out of school. They’re facing bigger housing costs, bigger education costs, and a bigger requirement to have that education than you ever did. Don’t compare the path they’re following to the one you’re following. It’s an unfair comparison all around.